Jinhee(Artist name, jinseikou) began drawing at a very early age in her mother's art schools. Since 10 year-old, she has learned from dessin to water & oil paintings under the traditional art curriculums in S.Korea and Japan. Simplicity, delicate realism and the tension of spreading inky pigment on watery paper have fascinated her for around three decades. 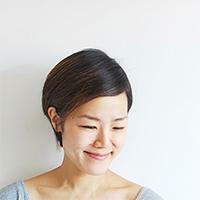 Currently, she is living in NYC and working as a commission artist & illustrator.